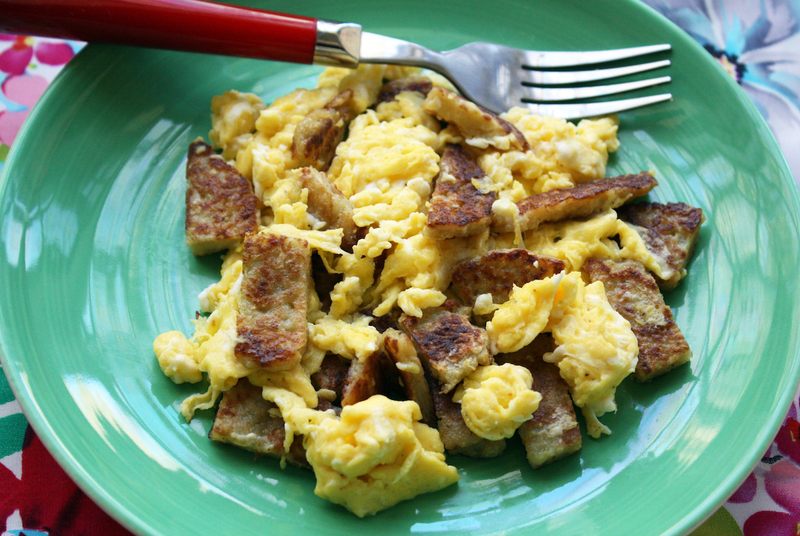 My mother used to slice up leftover potato pancakes and scramble them with eggs for breakfast. It’s still one of my favorite things to eat so I made it today. I had made the potato pancakes (placki in Polish) on Monday and had plenty left over so I treated myself to this delicious breakfast. I have actually made the pancakes just to use for this breakfast – that’s how much I love this dish. 2. Slice them into strips and place in a non-stick pan. 3. Start heating up the pan and while it heats up, beat the eggs with a little milk, salt & pepper. 4. When the pancake strips are not, add the egg mixture and cook until set. 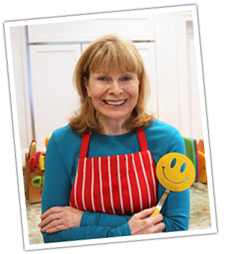 One Comment on "Potato Pancakes and Eggs"
I popped over to your potato pancake recipe and was very happy to see that it’s another recipe I can do,YAY me….LOL!! I do like how your potato pancakes aren’t greasy looking, a big thumbs up for that. I plan on making this delightfully yummy-looking breakfast soon.